After about six months Lingonberry, my first WordPress theme, has received siblings – twins, even. 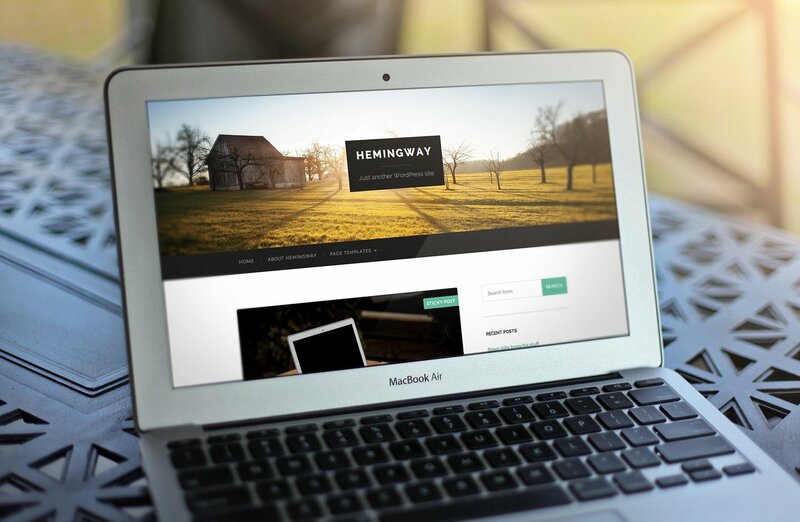 Late last night Hemingway and Wilson were released on WordPress official theme depository. I suffered from WordPress withdrawal after a year with Uniaden and inDesign. Hemingway and Wilson are responsive and retina friendly, support several post formats and include custom widgets for Flickr, Dribbble and videos. Hemingway also has a full-width header image with a parallax effect. 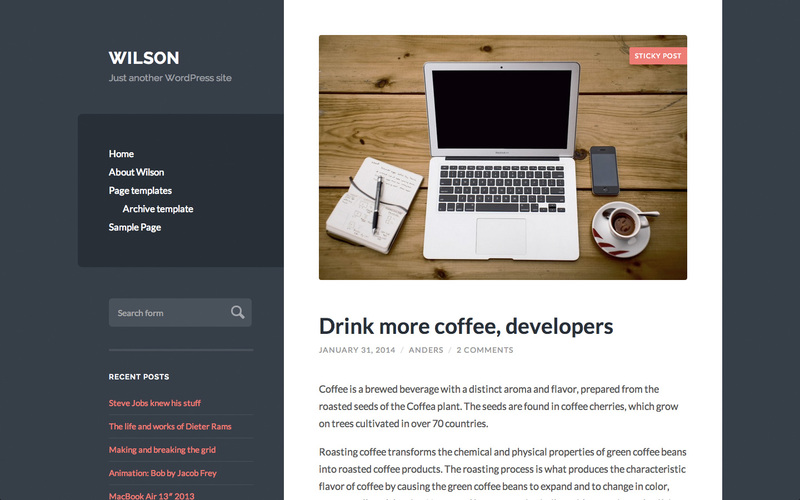 Both themes are developed with personal websites and blogs in mind, just like Lingonberry. The first person to use either of them is my girlfriend, who is running a modified (pink) version of Hemingway on her blog. I hope that I’ll be able to release at least one more theme before summer (and hopefully one or two during the summer as well), but it’ll probably be a few months. I have some other stuff lined up first.